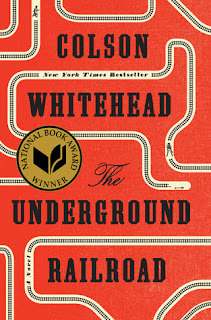 It's the final week of discussion for THE UNDERGROUND RAILROAD! Can you believe it? Time flew by this month! This week, we are finalizing our discussion with the last three chapters/sections of the book, including INDIANA, MABEL, and THE NORTH. As usual, I encourage chatter addressing these questions, but you can always bring up your own topics that I may have missed. In this section, we slowly discover what happens to Cora after Ridgeway. How does Cora change once arriving at Valentine's farm? 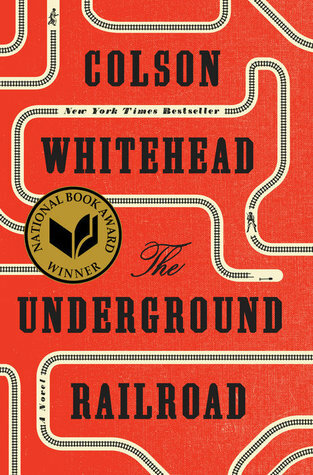 Throughout the story, the underground railroad created by Whitehead features actual trains. At the Tennessee location, we see "the most splendid locomotive yet" complete with a passenger car and jolly engineer. What is the significance behind Whitehead's interpretations of the railroad and the differences among the different forms of transportation? "Work needn't be suffering, it could unite folks . . . Freedom was a community laboring for something lovely and rare." Respond to this quote. "We are not one people but many different people. How can one person speak for this great, beautiful race - which is not one race but many, with a million desires and hopes and wishes for ourselves and our children?" How can this quote relate to our modern day? We finally learn the fate of Mabel, Cora's mother. How does knowing her fate affect the rest of the story? Each of the sections titled by a location begins with a sort of classified ad looking for lost property. Let's talk about this final ad, Ran Away. Homer stands by Ridgeway's side until the very end, creating a complicated relationship throughout the story. What are your thoughts on his character? Do they change throughout the story? Cora's travels through the underground result in her miraculous escape. What hopes do you believe she holds in her future? What hopes do you have for her? Stay tuned for our next readalong in April ... THE VEGETARIAN by Han Kang hosted by Tasha!